What are the messages we send our children? I woke up to the sound of my three-year-old crying from across the hall. Feeling around on the nightstand for my phone I checked the time. 3:30am! Slowly I gained motivation to climb out of bed, stumble across the hall, and made my way up the ladder of his bunk bed. 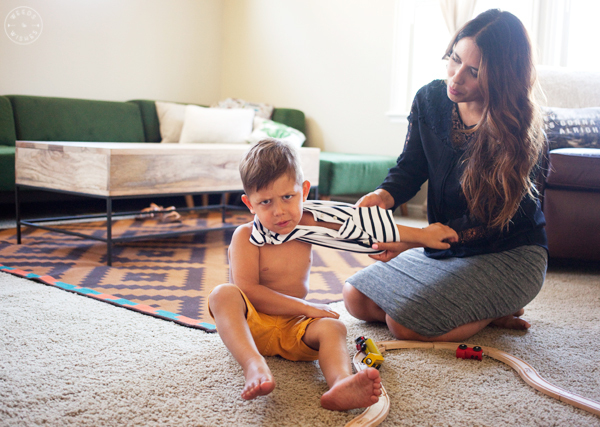 (I was too tired to have any conversation while standing) I slowly crawled across the Spider-Man sheets and picked him up as he complained about the pain coming from his leg. We both concluded it was growing pains! (Did anyone ever get those as a kid?) We cuddled for the next two hours while I rubbed his leg and eventually he fell back to dreamland and I was able to sneak away and crawl back into my bed… unable to fall back to dreamland. I stared at the ceiling thinking about all the the things we do for our children out of selfless love. The sleepless nights of feeding and rocking (or massaging growing legs), the bathing, the dressing, the breakfast, lunch and dinner preparation, the birthday party planning, the assisting with homework, the wiping away tears and kissing it all better, the endless driving from place to place and all this while we try to squeeze teaching and instilling values and knowledge along the way. But it had me thinking- What is the absolute most important thing for my children to know today and forever? The immediate words came into my mind. I want them to know without a shadow of a doubt that I love them. And that God loves them. But as parents do we get so hung up on getting from A to B or focus so much on correcting misbehavior that we water down our message of unconditional love? This month we are kicking of March with the focus on loving children and taking the time to connect with them first. I have been looking forward to this month and hope we can share our thoughts and experiences about this crazy journey of parenthood and more ways on loving our children. Watch for our Weekly Wednesday posts! 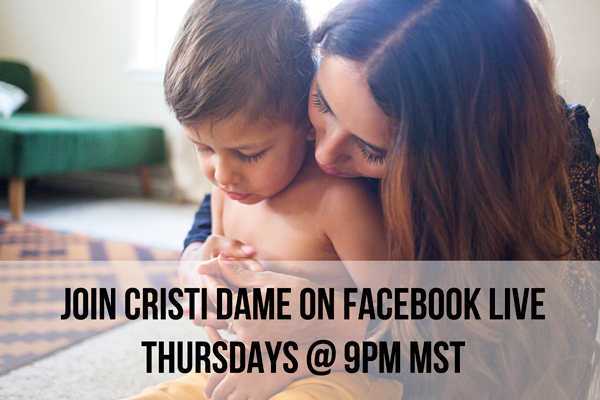 Also find me here on facebook Live Thursday nights @9pm MST where I will be sharing parenting tips and ideas! Cristi is a Licensed Professional Counselor specializing in child and parent connection. She has a passion for her family, the outdoors, photography, and mint oreos.